While making their New Zealand holiday plan, many people forget that the country is in Southern hemisphere. So the seasons in New Zealand are completely opposite to the seasons in countries in Northern hemisphere. Unlike other countries, winter in New Zealand stretches from June to August. During the period, the mountains are covered with snow. However, the winter climate in the country varies from one region to another. The season allows visitors to indulge in several uniquely Kiwi winter events. While holidaying in New Zealand in winter the international tourists to love to enjoy Matariki celebration. The traditional festival celebrates the winter solstice. The ancient festival is marked by the arrival of the Pleiades or Matariki star constellation on the southern skies. The various communities in New Zealand celebrate the festival to celebrate the end of harvest season and the season’s harvests. You can always consider exploring New Zealand during the festival to experience the community celebration and art events. Many international visitors even visit New Zealand during the winter months to enjoy the sky seasons. The annual Queenstown Winter Festival attracts snow enthusiasts of varying styles from different parts of the world. The annual Queenstown Winter Festival is normally celebrated late June. Also, Winter Games NZ is hugely popular among both local and international winter athletes. You can watch some of the elite winter athletes in action at the biennial international sporting event. The winter fun in New Zealand also includes several food and wine events. Based on your location, you have option to participate in several festivals that focus on authentic Kiwi food and wine. As New Zealand has hot springs in different regions, you will surely love to step into a hot pool surrounded by snow. The considerably less rain during the winter months also makes the season the best time to hike on the Franz Josef or Fox glaciers. However, you cannot rely on the public transportation in New Zealand to explore some of the remote beauty spots and special sites in the country. Despite being very good, the transportation will allow you only to explore cities and towns. Also, New Zealand is sparsely populates. 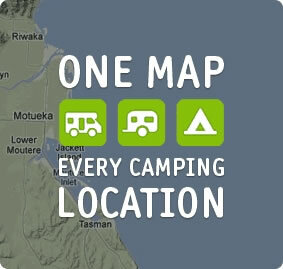 So you must consider hiring clean, comfortable and fully equipped campervans provided by reliable campervan hire South Island NZ company like Camperco.